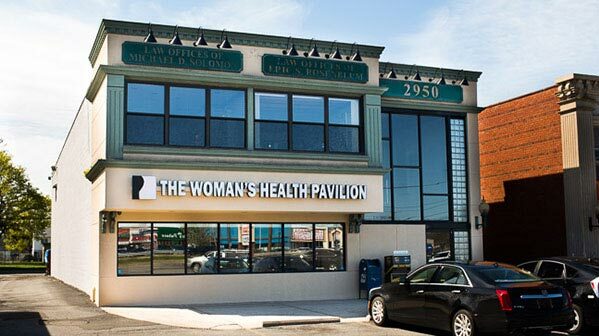 The Woman’s Health Pavilion in Levittown is here for you, whether you want an annual exam, birth control that fits your lifestyle, solutions to infertility, or another concern. As with all of our locations, Levittown offers more than a single gynecologist. Women from Wantagh and throughout Nassau County, NY, benefit from our team of experienced OB-GYN specialists that includes board-certified physicians, nurse practitioners, physician assistants, and midwives. We also have an onsite lab, pathologist, and high resolution 4-D ultrasound equipment. To meet with a gynecologist at our Long Island location in Levittown, request an appointment using our online form or by calling (516) 731-9000. We offer same-day appointments for urgent conditions and can see you evenings most days during the week. Saturday appointments are also available. It’s easy to get to our Levittown location from Wantagh. We are at 2950 Hempstead Turnpike, 1/4 mile east of the Wantagh Parkway, between Dunkin Donuts and CVS. Our caring team understands that most women don’t look forward to receiving gynecology care. They will take the time to talk with you, give you time to relax, and earn your respect. We look forward to your first visit.